Wood flooring is more than just a trend for Indianapolis homeowners. Wood flooring is a lifestyle choice for years to come. 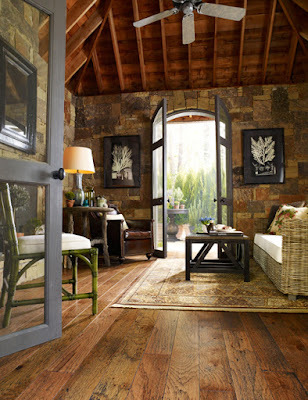 Wood flooring adds a touch of warmth and style to any room or entry way. And as a long lasting floor, it's an excellent way to get the most from your flooring budget. Natural hardwoods. Laminate wood floor. Bamboo flooring. Cork floors. There is likely more variety to wood flooring than most people realize. Indianapolis flooring store, Kermans, helps people select the best wood floor for their lifestyle and budget every day. What wood floor choices do our designers find particularly inspiring right now? No matter what type of wood you pick, wide planks are a design trend that's here to stay. 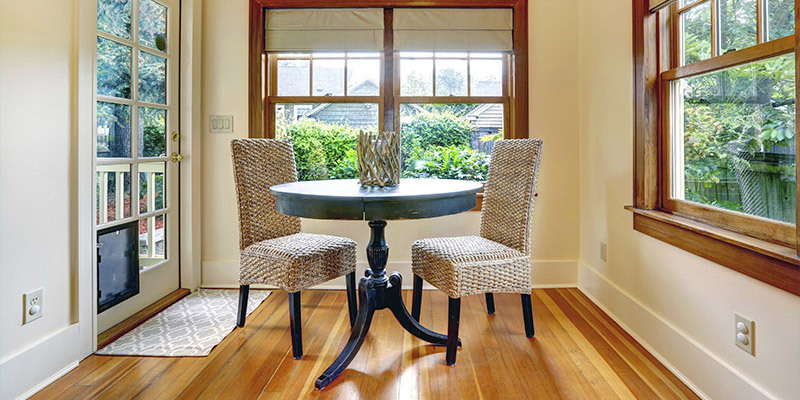 Wide planks mean fewer seams which is particularly nice in a large room. In any size room, however, they add a rustic look and feel. You can opt for wide planks in any wood species - oak, maple, pine, walnut - and you can pick just the right stain to complement your space. Wide planks are also available in laminate wood flooring which is a great option to consider if you're looking at a wood floor for your basement or kitchen. Laminate is slightly more water resistant than hardwood floors. While golden maple or red oak are often the image that comes to mind with hardwood floors, darker finishes are very popular. Dark wood floors can act as a cool neutral in design yet also really pop in a sleek, contemporary room. Oak, cherry and walnut are natural choices for the black, dark wood floor look but you can add an espresso finish to just about any wood species. High style, budget friendly and good for the environment... are we still talking about wood floors? Yes! Bamboo and cork flooring are natural floors from grasses or the bark of trees so they are made from sustainable resources. However, at first glance you'd be hard pressed to see the difference from one of these eco-friendly wood floors and a classic hardwood floor. More and more homeowners understand that their choices impact our planet and these wood floor options are a great way to keep the look and feel of wood while making use of sustainable, natural products. Feeling inspired to add a wood floor to your Indianapolis home? Stop by Kermans showroom on the northside of Indianapolis and ask to see our wood flooring selections. You'll find a wide variety of styles and prices that can bring your inspiration to life.